Shawn Bryant took a tough loss in this April 1994 game, pitching a complete game and giving up a single run. But he knew that was part of the game, he told The Deseret News. "I hate to lose," Bryant told The News. "But at the same time, I know that if I throw like I did today, I'll be right there in a position to win a lot of the time." By that point, Bryant was in his fifth season of trying to put himself in position to win games. He only got into one more. He also never made the majors. Bryant's career began in 1990, taken by the Indians in the eighth round of the draft out of Oklahoma City University. At Oklahoma City University, Bryant struck out 11 in an April 1989 game while giving up one earned run. He also earned praise from his coach Denney Crabaugh, according to The Oklahoman. "Bryant's got the best stuff in the district if he's on," Crabaugh told The Oklahoman. 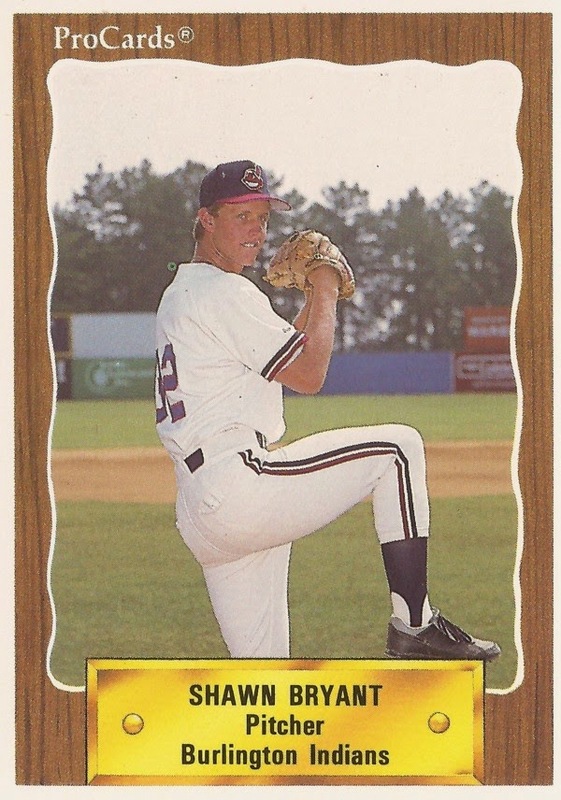 With the Indians, Bryan started at rookie Burlington. He also played that year at short-season Watertown and high-A Kinston. He went 8-4 between them, with a 2.78 ERA. He returned to Kinston for 1991 and 1992. going 11-9 his first year and 10-8 his second. Bryant first made AA in 1993, playing at Canton-Akron. He w4ent 10-5, with a 3.72 ERA. He moved to the Twins system for 1994, sent there in February for a player to be named. He also moved up to AAA, assigned to Salt Lake. In a June 1994 game, Bryant gave up two runs in five innings of work, according to The News. "Shawn pitched well," Salt Lake manager Scott Ullger told The News. "He gave up a couple of walks that hurt him, but overall it was a good outing for him." Bryant went 5-9, with a 6.27 ERA over 33 outings, 21 starts. Bryant returned to Salt Lake for 1995, getting 31 relief outings. He had a 4.88 ERA and four wins. It was his final season as a pro.